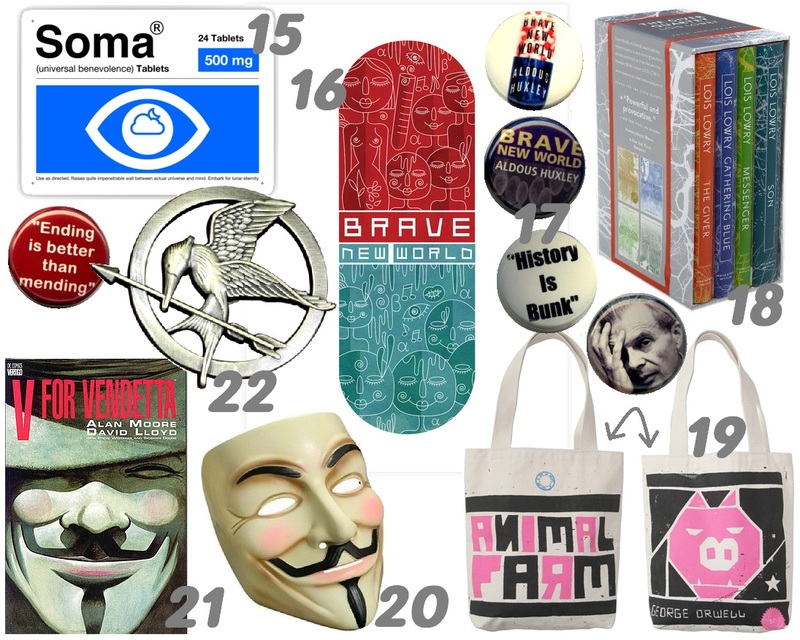 This entry was posted in bookish gifts and tagged dystopia by janicu. Bookmark the permalink. 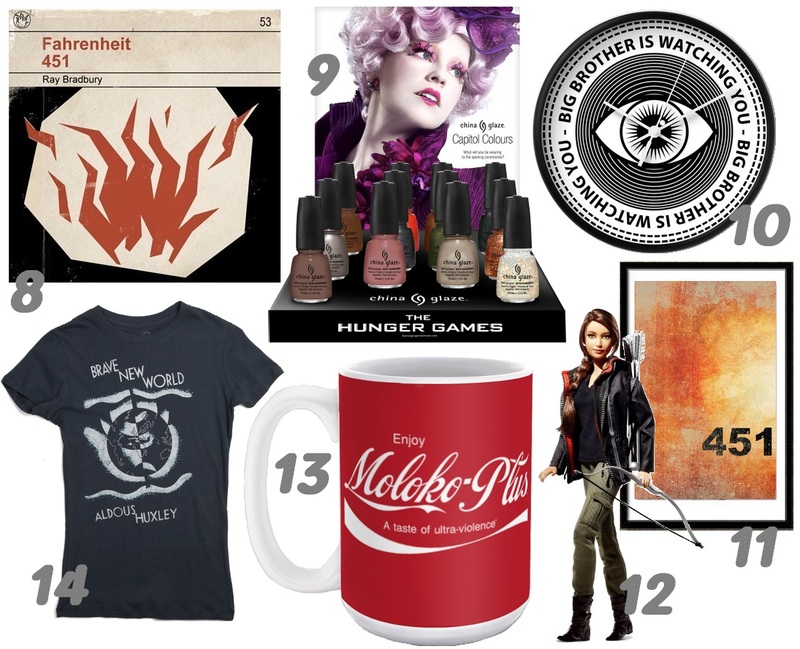 Why don’t I have all the money so I can get all the things? I want so many things on this list. 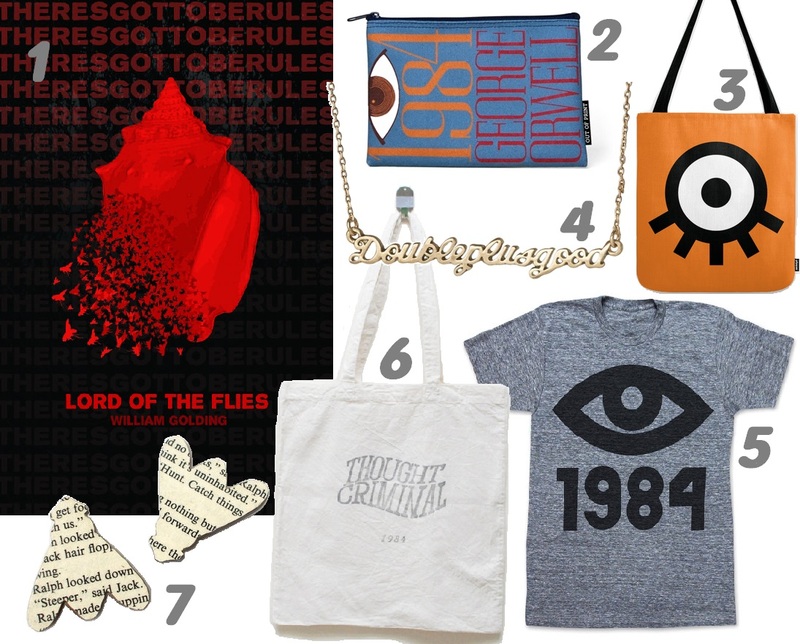 The Lord of the Flies poster, the Clockwork Orange tote bag, the Animal Farm tote, The Giver boxset, the Mockingjay pin, the V for Vendetta mask (you know, I might be able to afford that one. Ha). Great post, but I kind of hate you for making me want so many things. It would be nice to afford to buy *everything*, but since I can’t I may as well subject everyone to all the pretty things! 😀 You’re welcome!!! Heh heh heh. we run an online store that sells bookish gifts which are handmade in Melbourne, Australia. We’d love to feature in your 2015 top 20!